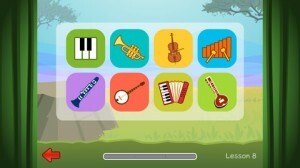 Music Learning Lab is an iPhone app developed byGenerategy LLC. If you want to get your kid excited about learning music, this kid-friendly app is a great place to get started. This app is rated for ages 4 and up, so you can get started right away with young kids. As it happens, Mozart himself also started learning piano around the age of four, so starting music education early can be the key to future success. Music Learning Lab is structured around four main “areas.” These areas are Learn, Create, Play, and Trophies. The Learn area teaches foundations of music, and is where players can unlock new instruments. The Create area is where kids can have their own musical creations performed by animated characters. The Play area is where kids can play games and practice their skills. Finally, the Trophies area is filled with trophies that show off what users have mastered. The free version of Music Learning Lab offers three free tutorial lessons, as well as basic composition with three instruments. 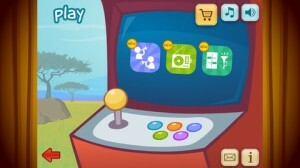 If you upgrade to the full version, you can get access to 14 tutorials, saved compositions, and mini-games for the Play area. 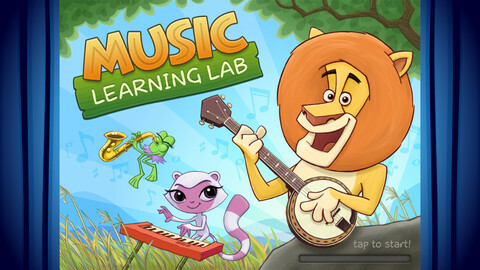 With 15 instruments, nine backing bands, and 32 trophies to unlock, Music Learning Lab offers a lot of fun for a small price (once you upgrade.) 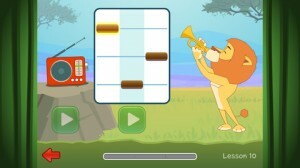 If you want to teach basic music skills to kids, this educational app is tons of fun. Music Learning Labis compatible with iPhone 3GS, iPhone 4, iPhone 4S, iPhone 5, iPod touch (3rd generation), iPod touch (4th generation), iPod touch (5th generation) and iPad. Requires iOS 5.0 or later. This app is optimized for iPhone 5.